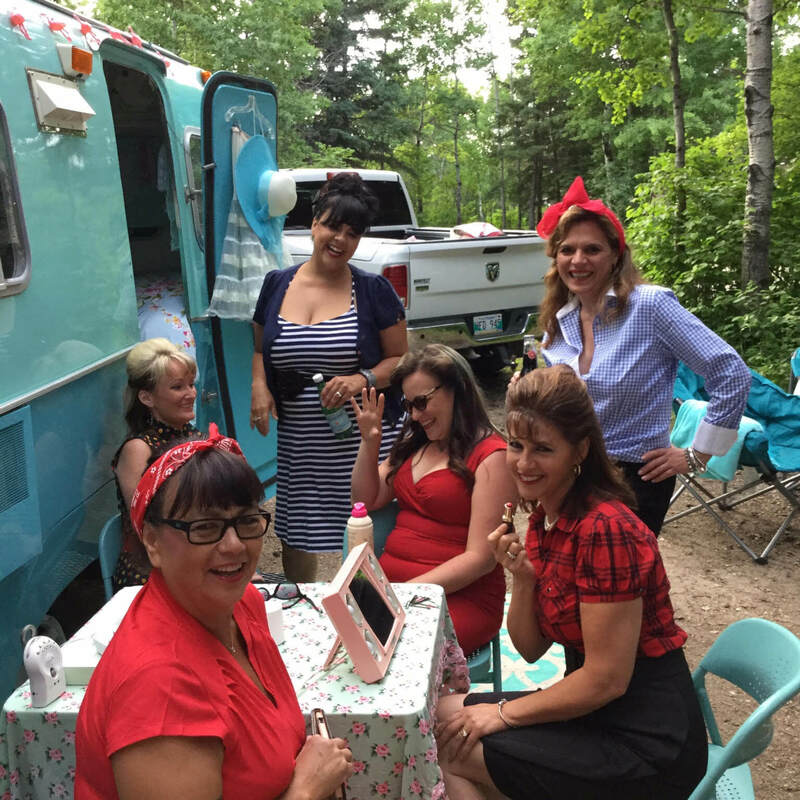 My name is Kimberly Boyko aka the founding member of the Canadian group Glamping Dolls, we are an international group of over 2000 women who love the great outdoors, having fun, decorating, travelling and Glamping up our vintage trailers. 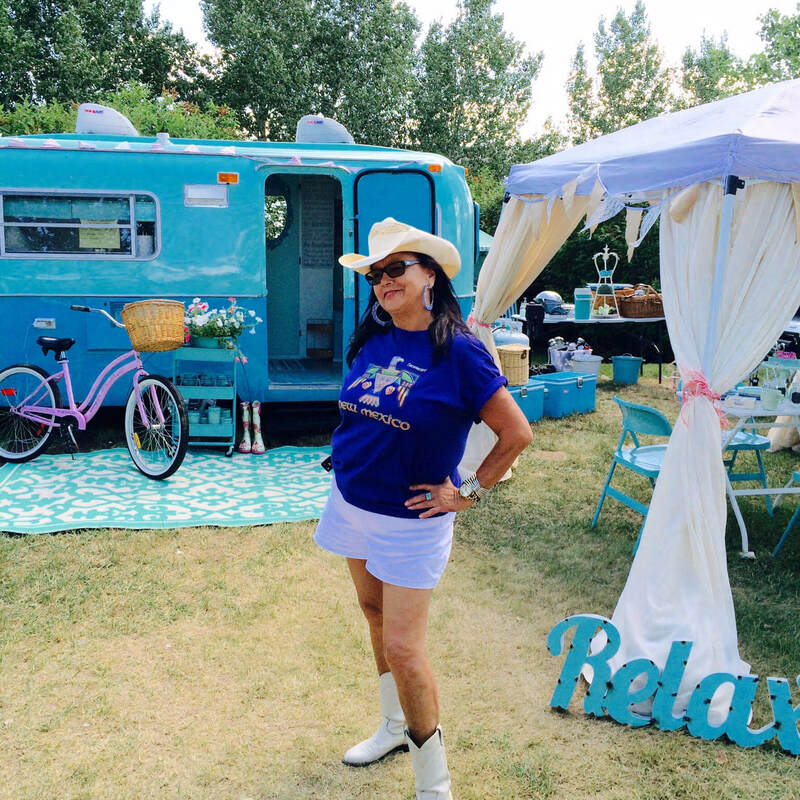 Around 5 years ago I found myself on a 2-month bed rest recovering from surgery and spending countless hours on Pinterest when one glorious day I stumbled across a fabulous vintage trailer with a giant tiara on it. My eyes lite up and I thought oh my I have got to get me one of those! 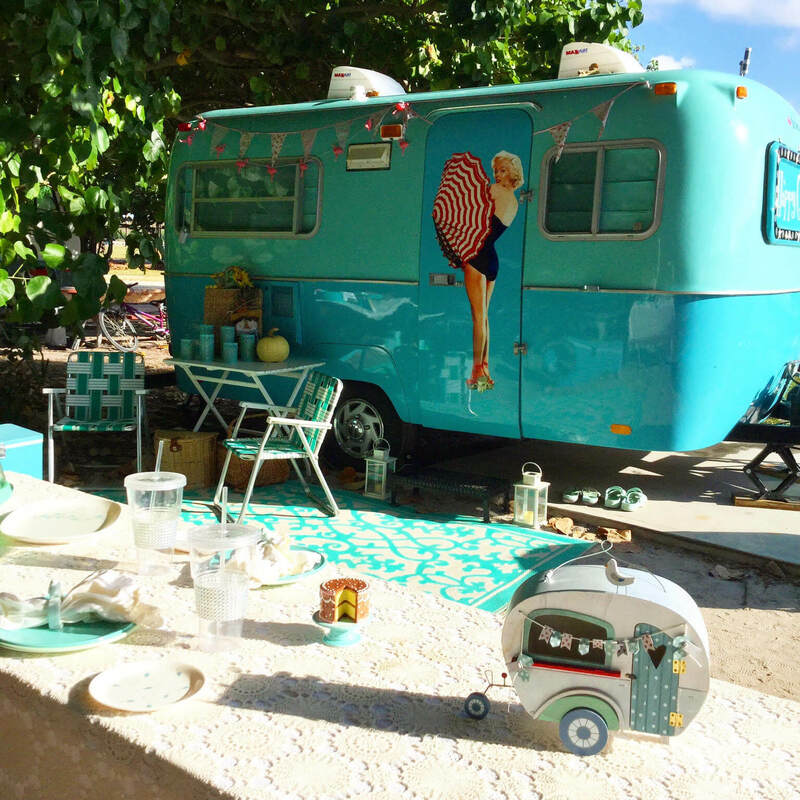 It turned out to be the country music superstar Miranda Lambert’s Airstream she named Wanda. 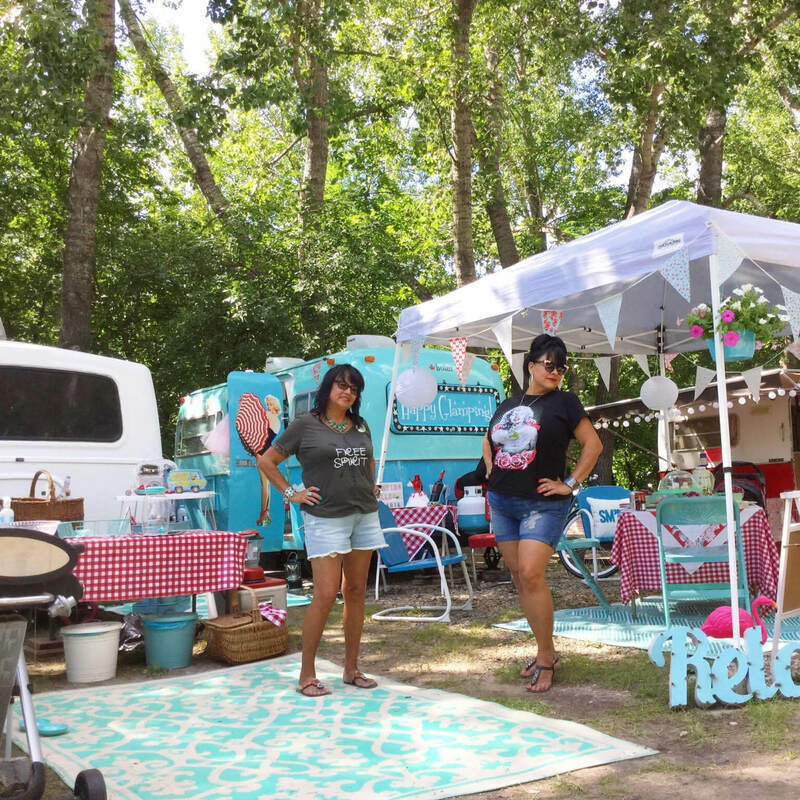 The amazingly talented Junk Gypsies had revamped it into a spectacular space for her to enjoy while on tour. 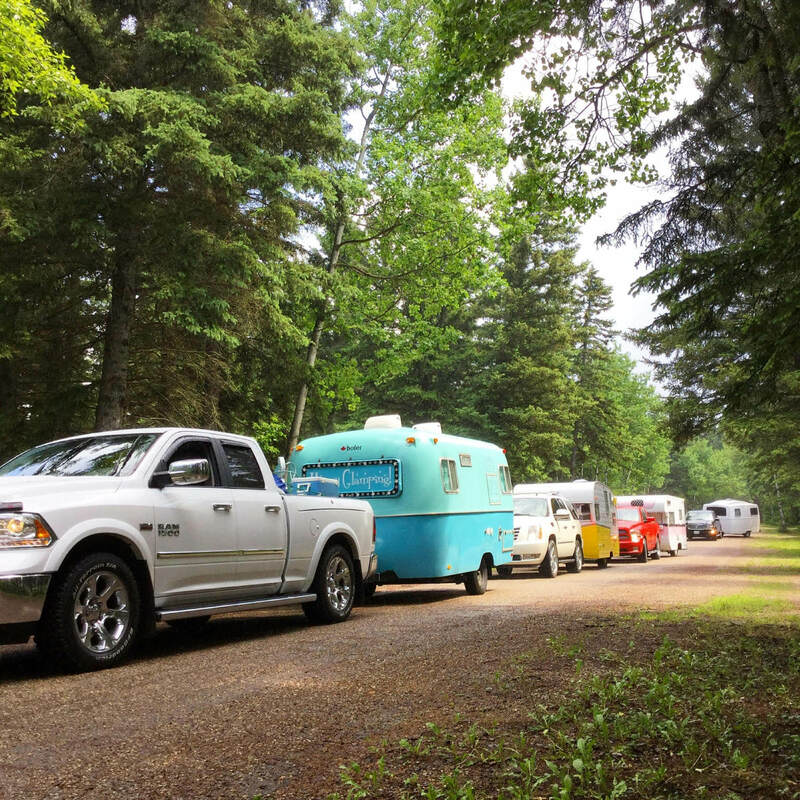 Sadly, I soon realized that an Airstream was way over my humble budget. Like most women trying to find their dream vintage trailer, I started scouring online sales ads. A few deals went sour and I was just about to give up when I found a sweet little 1978 fibreglass boler and she was located only 30 mins away! I flew out the door to look at her. She had been all gussied up all pretty on the inside, outside was original, looking really time-worn, worse for wear and badly faded. I found out later that the boler was designed and manufactured in my hometown of Winnipeg, Manitoba, Canada. To say the least, my husband wasn’t impressed with my purchase and viewed her as an eyesore. A few months later our 20th wedding Anniversary was coming up and he asked me if I wanted a ring or to have my boler painted…I jumped all over the professional paint job and restoration. I then I got busy collecting bits and bobs for her decor, I’ve actually collected four looks for her…I know it’s a bit much, but whatever I like to decorate…lol! I painted the inside with 3 custom shades of homemade chalk paint, and I even painted the cushions and curtains with it. Now that was a process let me tell you, but totally doable for a DIYer like myself. I selected her two exterior paint colours from my vintage dishes and decorated her with my childhood favourite colour palette. Having my boler Lola has given me sooooo much happiness, freedom, and the ability to hit the open road whenever I want. She is my grown-up dollhouse, I fill her with everything that I love and that makes me happy. Oh and a few years later I acquired a darling little tin can, a 1966 Safari I named Lolli, but that’s a story for another day. 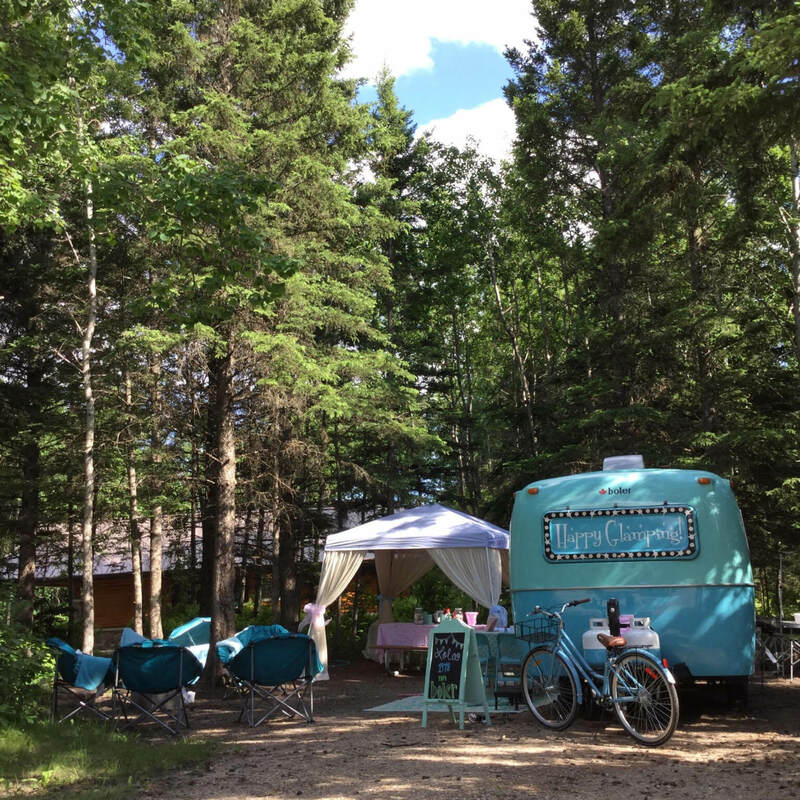 When I realized there was so many camping and glamping groups in the USA and only one in Canada I knew there was a void that needed to be filled and so I started the Glamping Dolls Facebook group, Instagram, and Pinterest with over 30 something boards on Glamping. 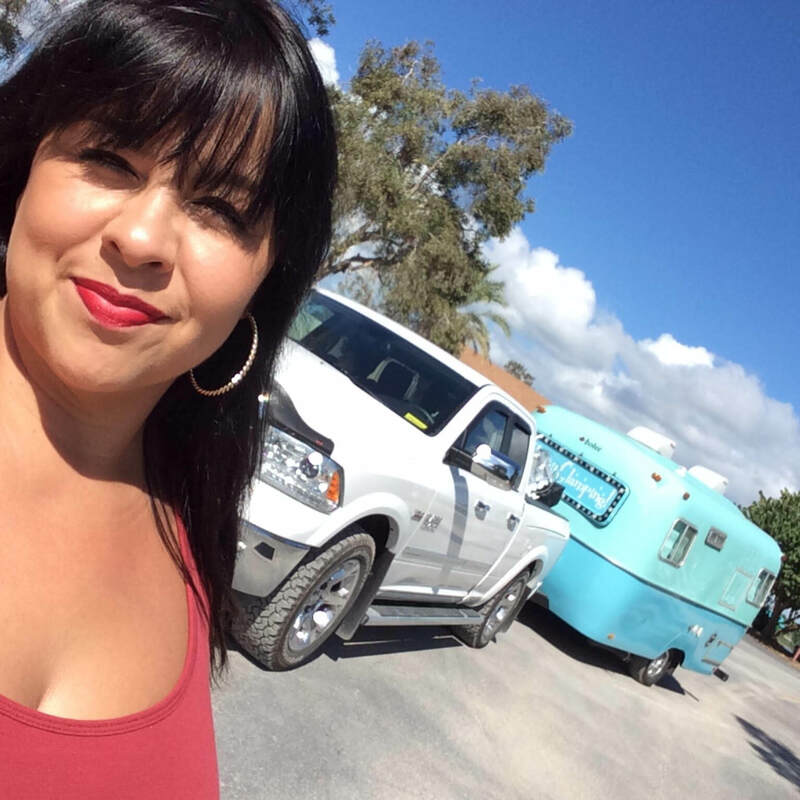 The places I’ve hauled my glampers, memories I’ve made with my daughters, husband and my BFF my Mother, the friendships and Sisters from SOTF I’ve acquired are priceless…Truly the best decision I’ve ever made. 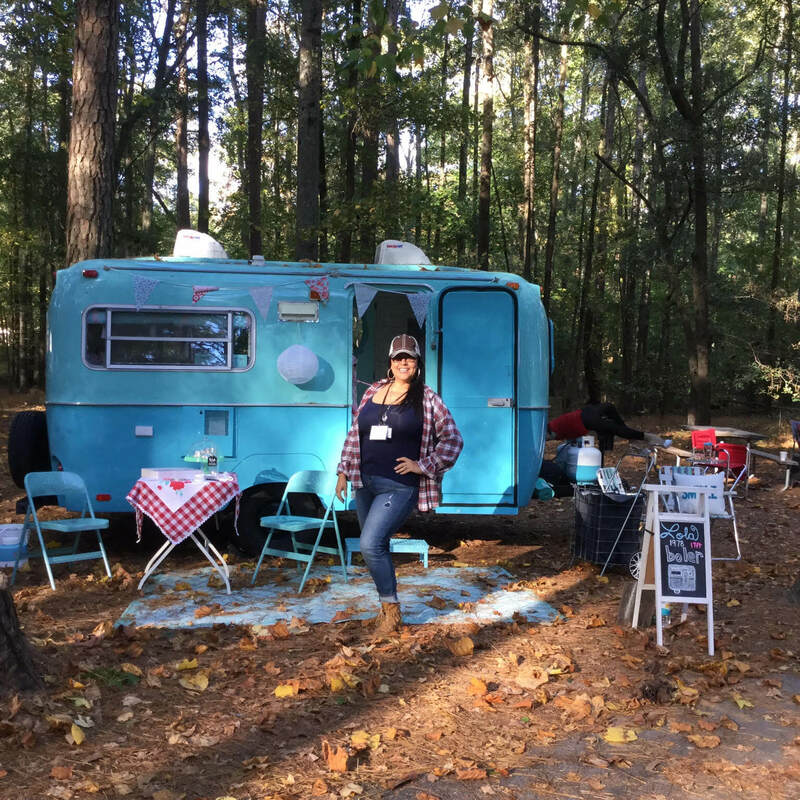 I even got the opportunity to meet the Junk Gypsies and so my glamping dreams have come full circle and I thanked them for inspiring me to become a Glamper.